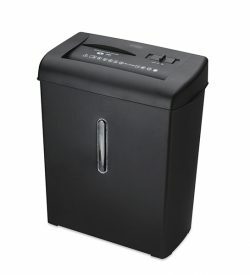 Shredders | View our catalogue products | SiliconBlue Corporation Ltd. Provides you the perfect basic security for your private documents. Everybody knows it, every day we get important information through our hands- whether bank statements, invoices, letters and other important personal data. Often these sensitive information just land in the trash - ideal for data thieves! The issue of data protection becomes more and more important in daily life. To prevent this, the use of shredders, for easy destruction of your data is unavoidable. 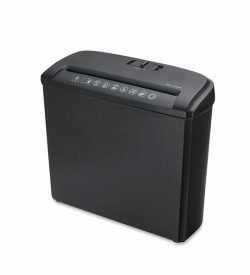 With the Ednet Strip-Cut shredder S-5, you can easily destroy in a simple way your documents. With up to 5 sheets at the same time and into 8 mm strip size. Thanks to the automatic Start/Stop function and return, you can destroy faster than ever before. Provides you the perfect basic security for your private documents Shred capacity: 5 sheets at the same time guarantee an optimal and fast destruction of your documents. Compact size suitable for use under the desk.Ideal for the occasional use at home. Provides you the perfect basic security for your private documents. Everybody knows it, every day we get important information through our hands- whether bank statements, invoices, letters and other important personal data. Often these sensitive information just land in the trash - ideal for data thieves! The issue of data protection becomes more and more important in daily life. To prevent this, the use of shredders, for easy destruction of your data is unavoidable. 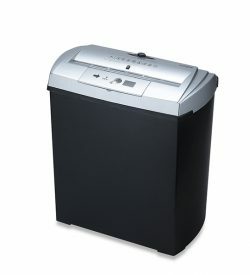 With the Ednet Cross-Cut shredder S7 CD, you can easily destroy in a simple way your documents. With up to 7 sheets at the same time and into 7 mm strip size. Thanks to the automatic Start/Stop function and return, you can destroy faster than ever before. Provides you the perfect basic security for your private documents. Everybody knows it, every day we get important information through our hands- whether bank statements, invoices, letters and other important personal data. Often these sensitive information just land in the trash - ideal for data thieves! The issue of data protection becomes more and more important in daily life. To prevent this, the use of shredders, for easy destruction of your data is unavoidable. With the X7, you can easily destroy in a simple way your documents. With up to 7 sheets at the same time and into 7 mm strip size. Thanks to the automatic Start/Stop function and return, you can destroy faster than ever before. Furthermore, you can also easily destroy your data storage media and bank cards reliably via the additional CD/DVD/Credit card slot. 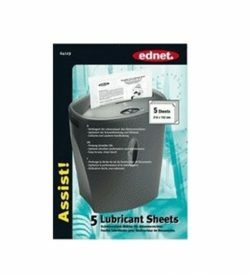 Lubricant Sheets for shredders. Extends the life and the efficiency and increases the cutting performance. The blades stay sharp longer. Decreases the volume and reduces paper dust in the cutting unit. During the passage of lubricant sheet, the right amount of lubricant is transferred to the cutter of the shredder respectively. Easy to use and clean to use. The lubricant sheet is simply inserted for the passage into the paper feeder.